Modis data are “big data” in every respect. Both the temporal and spatial extent of the information obtained from Modis makes data processing rather challenging. A quick overview of the Modis QuickFire data can be obtained by running the following code in R.
A complete archive of all pixels recorded as having possible fire activity (quickfire data set) can be downloaded using. The files are strait ascii with the format given in the manual written by Louis Giglio that is available from the site. The wget line will fill a folder with 562 files representing 3 GB of information representing suspected fires detected by Modis at a global scale dating from November 2000 to August 2012. This can be simplified for many uses to the essential columns. 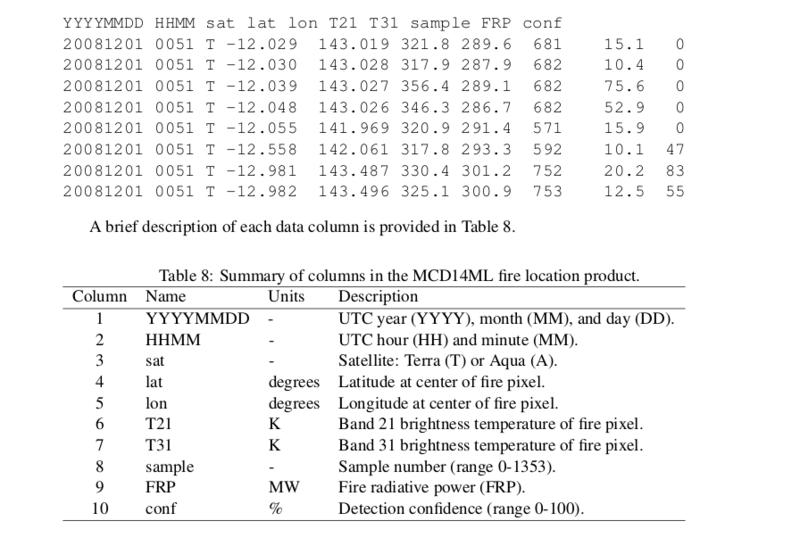 Date (day) lat, lon, fire intensity and confidence. So create a table to hold the key data. Now to import it all through R Assuming that you are in the directory where the data is stored and the download has all been unzipped (gunzip *). Start R and add the following. Now the function should run through and load all the data into your table by just “lappylying” it to a list of files in the directory. However this table is very large (> 2GB). We can reduce it to the continent we are interested in and index it for North and South America. 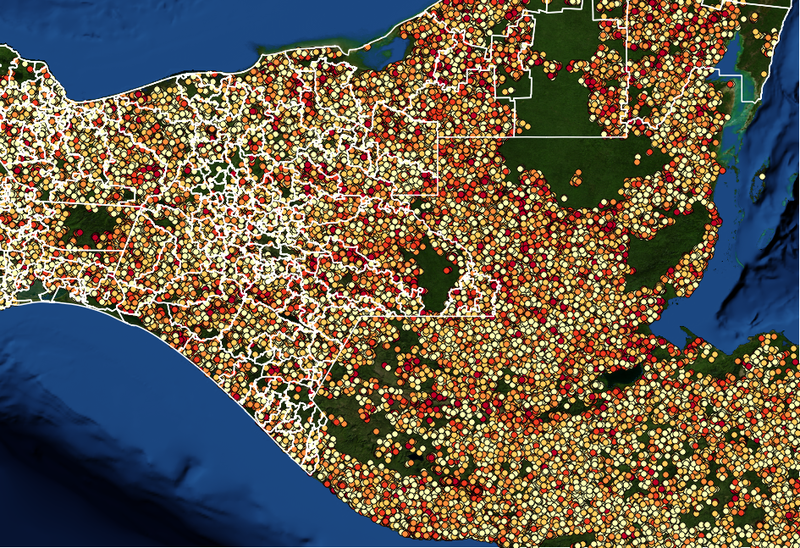 Now to look at all the fires in Chiapas since 2000. There is clearly a lot more work to be done on this data, but it is now in a format that is more easily interrogated. November 29, 2012 in POSTGIS, Uncategorized.